It’s been more than a month since I got back from Los Angeles but I still have a number of meal reports to go. After a string of sushi reports here now is a brief account of our return to Chengdu Taste in late July. Our lunch there was one of the highlights of our trip last summer; despite noting in the write-up of that meal that we’d be back on each trip, we unaccountably failed to go in December. Well, there was going to be no such error on this trip. Once again we escaped the long lines by going for lunch on a weekday, not too long after they opened. We still had to wait but not for very long. And this time we had our table to ourselves. 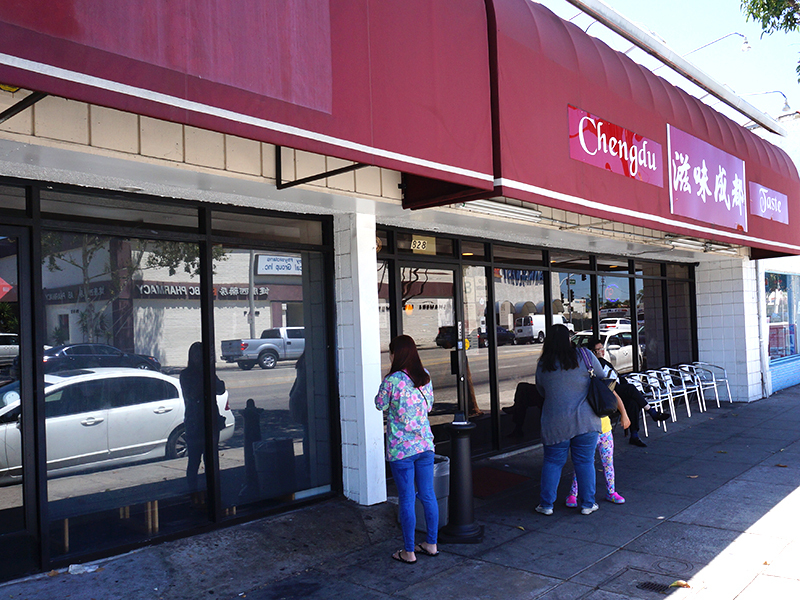 While the restaurant was full throughout, it does appear that the opening of the new branches in Rosemead and Rowland Heights have eased the pressure somewhat (our meal was again at the original Alhambra location). Though I’m sure weekend lunches still draw the lines.